Typical 2-wire intelligent transmitters require the operator to manually program and use a single calibration range suited to the specific application. Not anymore. A winner of a 2015 Flow Control Innovation Award has come up with a significant change in transmitter set-up. Foxboro, through its patented “Foxcal” firmware allows the Foxboro models IDP10S, IGP10S, IAP10S transmitters to automatically select and use any of 11 preset calibration ranges (stored in firmware). These calibration ranges cover the full pressure range of the transmitter. Upon installation, the S Series transmitter automatically selects the appropriate calibration range based on application inputs; and, if application inputs change, automatically transitions to another, more appropriate calibration range – all while maintaining a reference accuracy of 0.05%. 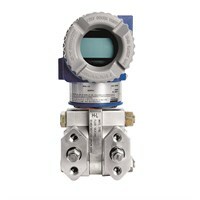 It is the first pressure transmitter to incorporate not only multiple calibration curves, but the ability to automatically select and transfer between them in real time. With the new technology, users have a wide-range capability with high reference accuracy for all industries requiring precise differential, gauge, and absolute pressure measurement. Additional benefits are inventory reduction and simplified tech training. Because of their wide turndown range with such high reference accuracy, adopting one model of S Series transmitter eliminates the need to inventory, learn, and maintain multiple transmitter models that handle more limited ranges (e.g., 150 psi, 800 psi, 4000 psi). The Foxboro IDP10S datasheet can be downloaded here. Foxboro IDP10S Intelligent Transmitter from Mead O'Brien, Inc.